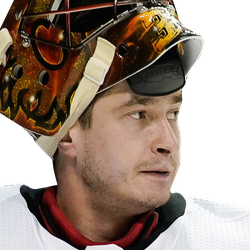 Michael Frolik scored the winning goal in a two-point night, and goalie David Rittich was sensational while making 31 saves as the host Calgary Flames claimed a 4-2 win over the Columbus Blue Jackets on Tuesday night. The Flames (45-21-7, 97 points) moved three points ahead of the San Jose Sharks for top spot in the Pacific Division and the Western Conference. Calgary, which has won four of its past five games, needed nearly 13 minutes to get a shot on goal in the third period. The key offensive damage came just before and just after the first intermission. With the score tied 1-1, Andrew Mangiapane put the hosts ahead with eight seconds remaining in the first period. Mark Jankowski sent a pass that the rookie quickly received, and Mangiapane spun a backhander into the cage for his fifth goal of the season. Then Frolik made it a 3-1 game just 35 seconds into the second period with a highlight-reel goal. He gained the puck at full speed at the blue line, zipped around defender Seth Jones and then converted a backhand tally. Oliver Bjorkstrand pulled the visitors within a goal with a power-play marker 5:28 into the third period, but Matthew Tkachuk's empty net goal with 51 seconds remaining iced the game. The clubs traded first-period goals before Mangiapane's go-ahead tally. Columbus' Zach Werenski opened the scoring 10:25 into the affair. He created a turnover in the neutral zone and was sprung by Artemi Panarin on an odd-man rush before working down the wing and then snapping home a shot. However, Johnny Gaudreau responded for the Flames just 2:19 later with his 35th of the season, ripping a glove-side shot into the cage when left alone in the slot. 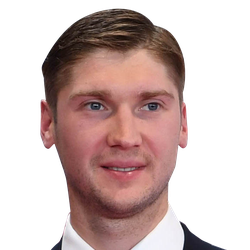 Sergei Bobrovsky made 27 saves for Columbus (40-29-4, 84 points). The Blue Jackets hold the final Eastern Conference playoff spot, sitting one point ahead of the Montreal Canadiens.